Titusville Area Model Railroad Club is on the NMRA Layout Tour! New GP20 fresh from the factory rumbling past the station on the "O" Gauge layout. GG1 on the "HO" Gauge layout after a landscaping "refresh". Cab Forward SP 4252 on the "N" Gauge layout. The old and the new on the "HO" Gauge layout. 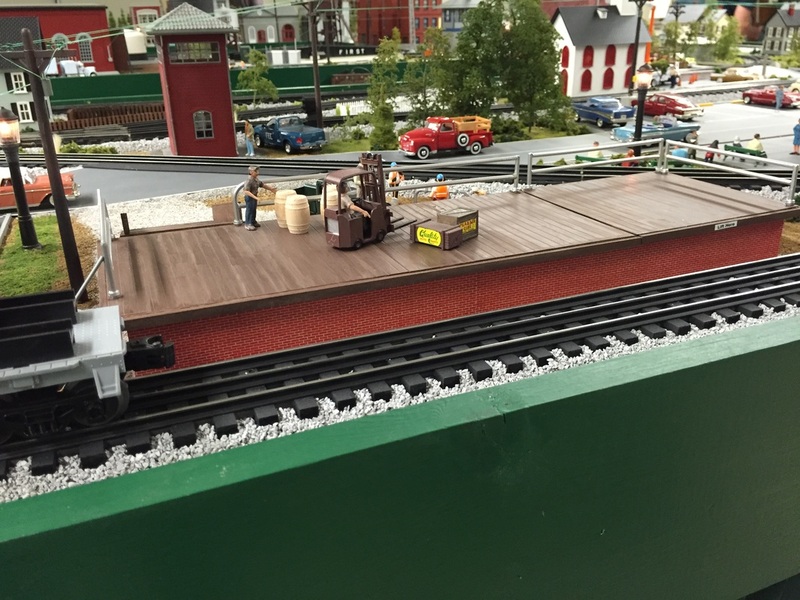 Fall 2015: New loading dock and siding on the "O" Gauge layout. In town on the "O" Gauge layout. FEC 713 in new livery hits the road on the "HO" Gauge layout.